ALBANY — The day after federal agents arrested the imam of Masjid As-Salam, 20 men gathered on the green carpet in the mosque’s back room. No one else had dared to come. It was Aug. 5, 2004. The FBI raid was over. The media frenzy wasn’t. The governor had gone on TV talking about “terrorists among us.” A horde of reporters had staked out the Central Avenue storefront mosque. Someone had to go out to face the cameras. What should they say? And who should it be? The men could have suggested the mosque’s president, or another elder. They didn’t. They picked a 25-year-old from Albany, three years out of RPI. Faisal Ahmad climbed onto a chair on the sidewalk outside the mosque. He had abandoned a promising IBM career to study his religion. He wanted to be an American Islamic leader. He was about to see what that could mean. The transformation of Faisal Ahmad – from IBM engineer to aspiring imam, from business suits to Islamic clothes – hinged on a series of choices. But his personal narrative also speaks to a bigger story: the making of a new generation of American-raised imams. In this country, it takes a pretty determined human being to become a good imam. Leading a mosque often requires him to be the religious equivalent of an iPhone: all your Islamic needs in one package. His followers look to him as a preacher, teacher and cultural adviser. Reporters and law enforcement officials look to him as the public face of the Muslim faith. He should have a firm grasp of Islamic law and theology. Arabic is a must. Many mosques can’t offer imams much financial security. So if you’re an immigrant’s kid – and two-thirds of adult Muslims in the United States are immigrants – your parents may steer you toward a well-paying job. If you’re still determined to become an imam, the seminary options in America are limited. Typically, you’ll spend a few years studying in the Middle East or Asia. Your salary might be as little as $1,500 a month. That’s what Yassin Aref, a Kurdish refugee from Iraq, earned at Masjid As-Salam before his arrest. He also moonlighted delivering pizzas. “Right now, young American Muslims just don’t see imam-hood as a viable career option,” said Sohaib Sultan, 27, a North Carolina-born chaplain at Wesleyan University and Trinity College in Connecticut. The situation is improving, though. And part of the reason is people like Faisal Ahmad. Now 28, Ahmad has shed his suits and ties for the robe-like garments called thobes and the short Muslim hats called kufis. Meet him in the mosque, he’ll bring mango juice and engage you for hours. Put him on TV as a spokesman, and he speaks about his community’s desire for peace and brotherhood. Ahmad is studying Islam in Syria now. He lives with his family near a mountain where legend has it Cain killed Abel. Water and electricity are available only during certain hours each day. If you asked him where this hunger for Islamic knowledge started – where the path began that brought him in front of the cameras after the mosque was raided – he might tell you about his mother. Kishwar Ahmad, who sells Islamic gifts at a store on Central Avenue, told her son bedtime stories from the Quran. Shamshad Ahmad, Ahmad’s father and Masjid As-Salam’s president, is from India, like Kishwar, and teaches physics at the University at Albany. Huma Ahmad, Faisal’s older sister, runs an internationally read Web site for Muslim women. Faisal Ahmad, who was born in Australia and came to America as a 7-week-old baby, recalls being the only Muslim at School 16 in Albany’s Pine Hills neighborhood. He wore long pants in gym class to follow the Muslim custom of covering your knees. Kids made fun of his curry lunches. They called him Facial Tissue. The teasing gave Ahmad both an urge to teach people about Islam and an appreciation for the kindness of his own teachers. Ahmad enrolled at Rensselaer Polytechnic Institute in Troy after graduating from Albany High School. He studied computer engineering and drifted toward a corporate career. He also imagined a different path that would let him directly affect people’s lives. His faith intensified in the winter of 2000, when Ahmad and his sister made a pilgrimage to Saudi Arabia. Touching his bare feet to the same land where the prophets of Islam had walked – the land where Islam’s holy book, the Quran, was revealed – brought him closer to God. The sights only heightened that sensation. The bus trip through barren desert. The coliseum-like mosque. Waves of people circling the Kaaba, the black stone block that Muslims believe Abraham built. All that devotion under the lights in the middle of the night. As graduation neared, Ahmad faced a familiar American choice: Chase the money? Or follow my ideals? A choice to make American choices like these are increasingly common for the children of Muslim immigrants. But here’s the problem: Muslims, particularly young people, often can’t identify with the imams who might guide them. 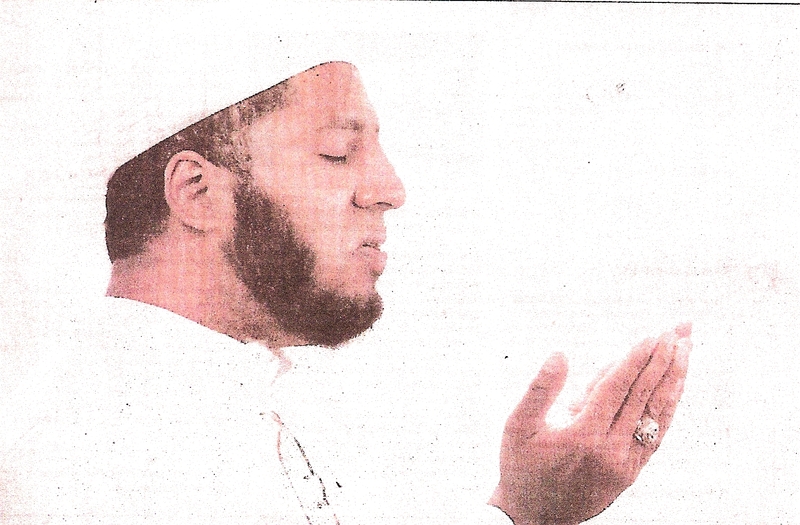 Foreign-born imams lead 85 percent of mosques that aren’t African-American. (African-Americans, with their unique Islamic history and often their own leaders, now make up about 20 percent of this country’s Muslims.) Many immigrant imams – from across the Middle East, Asia and Africa – touched down at JFK knowing a lot about Islam and not much about American culture. Some, said writer and scholar Reza Aslan, try to impose their native customs on their American followers. Some have accents so thick children complain the imam speaks “funny English.” And some deliver sermons geared toward issues in other countries. It’s at the intersection of Islam and American life that so many of the dilemmas facing this nation’s Muslims begin. Do you ask your boss for time off for Friday afternoon prayers? Break up with a girlfriend because your faith forbids dating? Wear a headscarf to a job interview? And that’s coming from an imam born in Saudi Arabia to an Egyptian family. Kobeisy studied multicultural counseling. Not everyone is so diligent. American Muslims, meanwhile, are building the infrastructure to train imams here. It’s happening as their population, which took off when the government slackened immigration rules in the 1960s, has developed a distinct Muslim-American identity. “You’re getting to the point where now we actually do have homegrown religious leaders,” said Aslan, the Iranian-born author of “No God But God: The Origins, Evolution and Future of Islam” and a professor at University of California-Riverside. Even after Ahmad started his $65,000-a-year job at IBM in Poughkeepsie, he couldn’t suppress his inner teacher. Muslims fast during the holy month of Ramadan, which began Wednesday evening, but many Americans aren’t familiar with the ritual. So when Ramadan arrived, Ahmad explained the purpose of fasting in a note he left for his colleagues outside his office. He also left them a box of baklava next to the note – a big hit. Ahmad fell in love with one of his IBM colleagues, a “typical small-town girl” who played soccer for her high school near Middletown and went to county fairs every summer. Her name was Sana. They married in 2002. As a Muslim, Ahmad believes this world is a speck in time compared with the eternity of the afterlife. He believes God will dispense judgment in the afterlife, “such that even a ram will be accountable for breaking the horn of another.” He believes the way to shape his afterlife is through good deeds in this one. These beliefs led him to leave IBM in 2003. Money would no longer drive his life. Knowledge would. His father urged him to keep the job. He suggested studying Islam by correspondence. Such a promising career. Why abandon it? But Ahmad was determined to study Islam – and chose to do it in Syria. There, he took classes in Arabic, the language of the Quran. Evenings, he sat at the feet of scholars who spoke from sculpted wooden pulpits. Yet the prospect of resuming his career still tempted him. That ended with the death of a friend. Abu Ali was 30, poor, and grateful despite his poverty. The two young men would speak every night after evening prayers. They talked the night before Ali’s death. It was a freak accident: The door he was installing on his house apparently fell on his head. He left behind several children. “I just thought to myself: So this is how the world treats you?” Ahmad said. “You give it everything and it betrays you in the peak of your life. What is all this worth? The arrests In the summer of 2004, Ahmad was in Albany staying with his parents. On Aug. 5, two FBI agents rang the doorbell. It was 1:30 a.m. Your mosque is being searched, they told Ahmad’s father. Get dressed and come with us. You are not under arrest. The agents took Shamshad Ahmad to the mosque and left his frightened family at home. The story broke a few hours later. The FBI had arrested Aref in a sting operation that exemplified the government’s aggressive post-9/11 counterterrorism posture. The imam and a founding member of the mosque had been lured into a fictitious plot. The two men were accused of money laundering in the sale of a shoulder-fired missile to terrorists. The Ahmads’ phone rang. Mayor Jerry Jennings asked if they needed protection. We’re fine, they said. Please send a car to the mosque. That afternoon, Faisal and the leaders of the mosque huddled on the green carpet to prepare a statement. His father, Shamshad, suggested saying the charges were against individuals. The mosque and the Muslim community had nothing to do with it. Others argued their imam had been targeted because of the mosque and community. How could you separate them? They decided not to distance themselves from the imam. Yet they needed to convey a message of peace. The men gave Faisal Ahmad the job of walking that line. Ahmad walked up to the bank of microphones, clutched a piece of paper, and mounted the chair. He spoke about the afterlife, piety, peace. On Oct. 10, 2006, Aref and his co-conspirator were convicted of supporting the bogus terror plot. A judge sentenced them to 15 years in prison. Both men are appealing. Ahmad hasn’t been free of suspicion himself. Returning from Syria earlier this year, authorities at JFK detained him and his eight-months-pregnant wife for five hours. He didn’t mind the questioning. He did mind the way they seemed to fear him, a Muslim who had spent time meeting with the Transportation Security Administration at Albany’s airport. Ahmad and Sana now have two children. They named their daughter Maryam. Mary, Ahmad said, is honored in the Quran and someone loved by both Muslims and Christians. Their son, Hamza, was born this summer. Shortly before he and his family returned to Syria in August, Ahmad gave the Friday sermon in a mosque for the first time. He also visited California, where he saw young Muslims like him – Muslims who grew up in America like him – now leading huge mosques. Lately, he’s been browsing imam-wanted ads. There seem to be many small-but-growing communities looking to establish a mosque and find an imam, he says. In Albany, Masjid As-Salam still has no permanent imam.